All five of the Diverse Elders Coalition member organizations — as well as many of our partners and friends — will be attending this year’s Aging in America Conference, hosted by the American Society on Aging, in San Francisco from March 26th through 29th. The DEC will participate in a number of workshops on advocacy, caregiving, data disaggregation and more. We are excited about this opportunity to bring diverse voices to the table at one of the nation’s largest convenings on aging issues. This week, Southeast Asia Resource Action Center (SEARAC) Executive Director Quyen Dinh travels to Chicago to talk about the needs of Southeast Asian American refugee elders with the Diverse Elders Coalition (DEC) at the American Society on Aging conference. The DEC is the only national coalition dedicated to raising awareness about the unique needs of LGBT elders, American Indian/Alaska Native elders, immigrant elders, and elders of color. 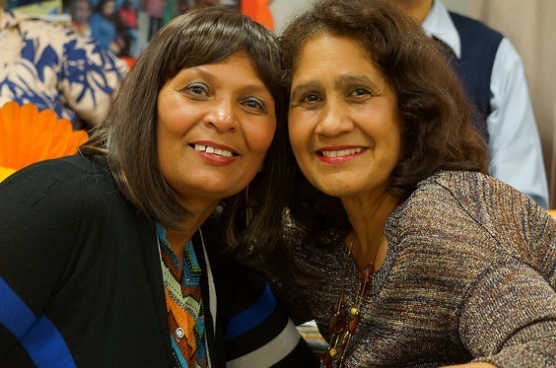 During next week’s Aging in America Conference, an annual aging conference presented by the American Society on Aging, the National Indian Council on Aging (NICOA) will present on key aging issues facing American Indian and Alaska Native Elders. by Bryce Kirchoff, Director of Audience Development for Next Avenue. Next Avenue is public media’s first and only national journalism service for America’s booming older population. Bryce will be presenting on a panel alongside Jenna McDavid of the Diverse Elders Coalition at this year’s Aging in America conference. For more information on the conference, click here.